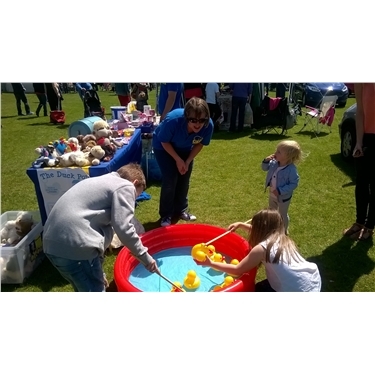 It was a beautifully sunny day on Saturday 16th May 2015 which made the Hanham Common Fayre even more fun. Our happy band of fundraising volunteers were there manning our stall. It could have been more but the games were so successful we ran out of prizes before the end of the day! Face painting went down really well too.